Plenty of Twitter users on both sides of the political spectrum ripped Rubin for her tweet. Would you say he’s articulate Jennifer? Is that what you would say? Are you saying the majority of African Americans aren’t eloquent? Are you saying no other race can do the job? Or maybe you’re boasting the line of succession for a personal gain? 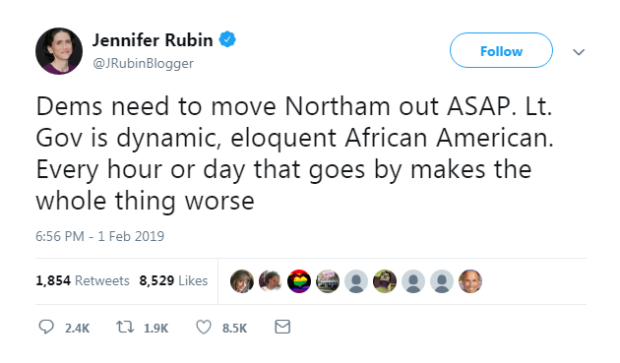 Rubin’s tweet is still up at time of publication.